Jackfruit is a relative of the fig and mulberry, though, unlike figs and mulberries, the jackfruit can reach over 80 pounds. Native to Southeast Asia, our organic jackfruit is sourced from trees in Sri Lanka and dried to maintain the best flavor and texture. 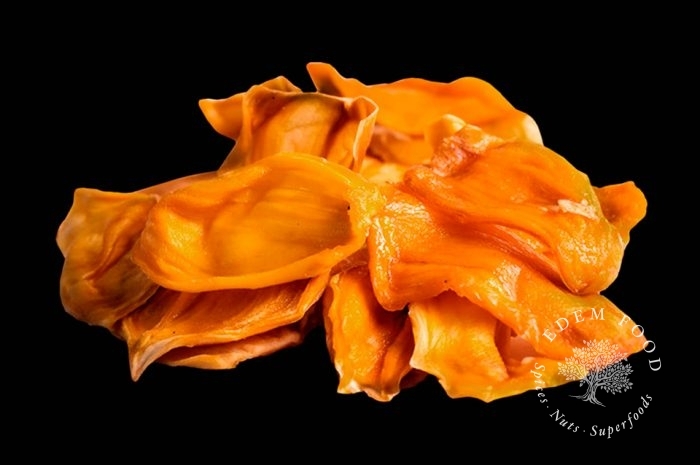 Jackfruit has a delicious sweet taste, similar to a mango and is packed with antioxidants and fiber.